In our data-obsessed culture, we use technology to track everything from the steps we take to how well we sleep at night. Why not use the same principle to keep chronic disease under control? That’s the thinking behind a new technology called Dario, a blood sugar monitoring device—complete with lancet and testing strips—that attaches to smartphones. The device syncs the data from each test to both the user’s phone and the cloud, allowing people with diabetes to not only accurately test their blood sugar, but gain insight into how their daily activities and diet choices impact test results over time. 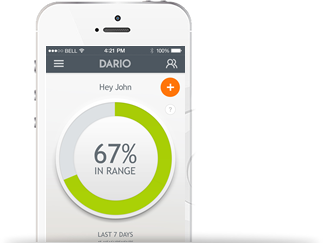 “You can use this to track your disease, manage yourself to stay in range, and always have that data available for a caregiver, for a physician, or even for a case manager at an insurance company,” says Todd Durniak, a Boson-based entrepreneur and the executive vice president of Dario’s parent company, LabStyle Innovations. 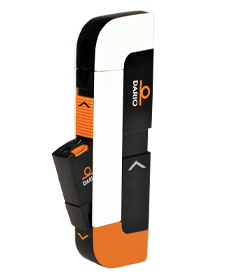 Already on sale in Canada, Australia, and New Zealand, Dario is currently awaiting FDA clearance to be sold in the United States. Durniak says he hopes and expects to gain approval by the end of the year. “It’s not a question of if for us, it’s a question of when,” he says, adding that the cost would be on-par with existing glucose testing methods when it hits the market. But even beyond the implications for an individual’s health, Durniak says Dario could provide trend information that could someday lead to better diabetes treatments.